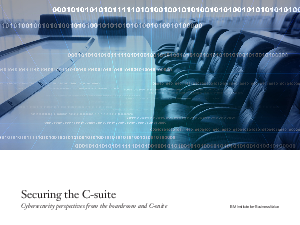 C-Suite views of the risks and actors - Is the C-Suite view versus reality aligned? IT and business alignment and collaboration - Who's engaged and who's not? The tone from the top on external collaboration and sharing of incident information. Characteristics of more "Cyber-Secure" companies based on C-Suite responses to what their organization has accomplished.